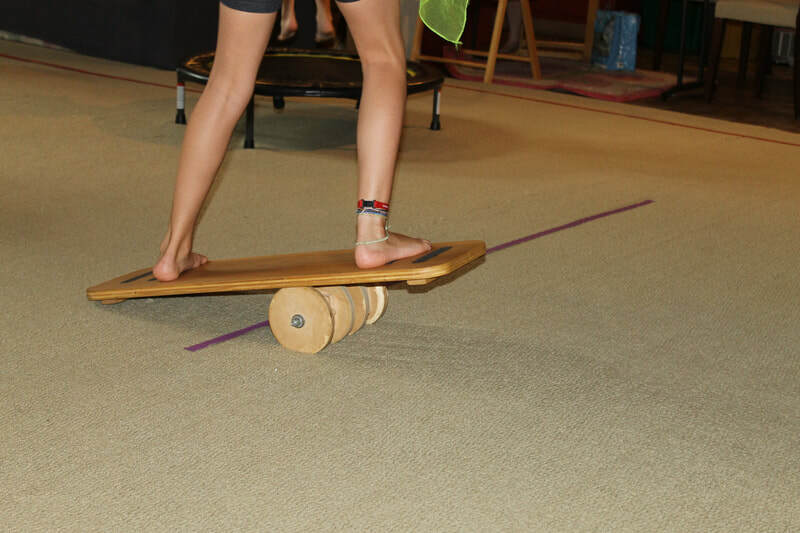 ​Circus Arts Therapy® is a unique fitness and play therapy tool focusing on circus activities. 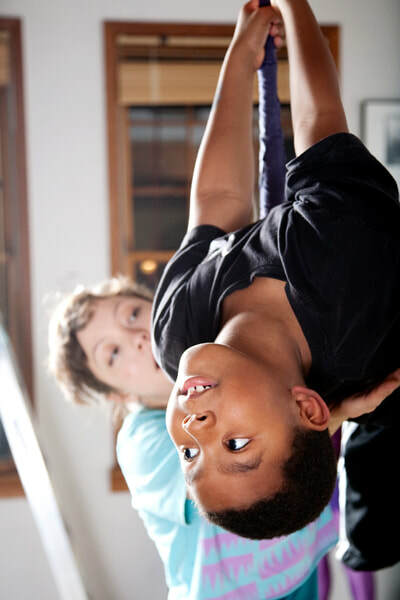 Our program provides a safe, cooperative environment where participants learn fun and unique circus skills and experience "Therapy in Action.” Our therapy programs are overseen and designed by Carrie Heller, MSW, LCSW, RPT along with highly-trained CAI adult circus professionals. 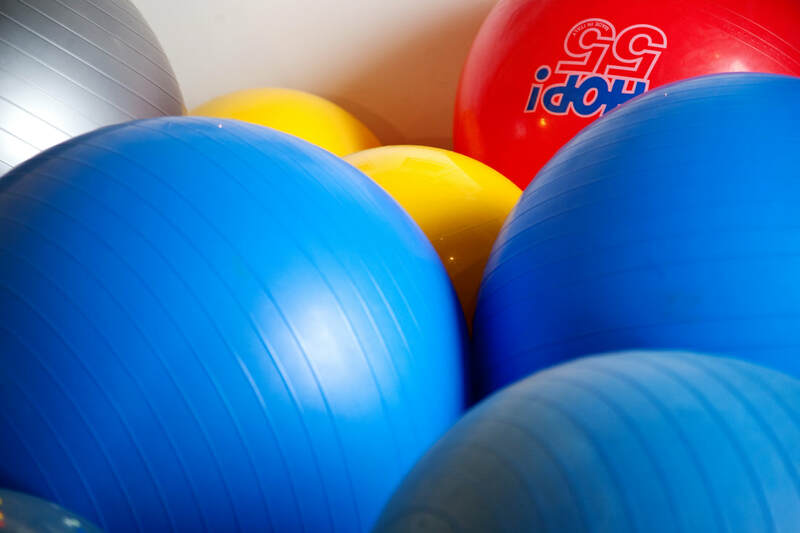 Participants will have a chance to utilize circus equipment to gain physical skills as well as learn important social skills such as teamwork, cooperation and self-confidence in a fun & safe environment. Carrie Heller, MSW, LCSW, RPT, also works with adults, couples, siblings and families in CAI's Circus Arts Therapy® room. 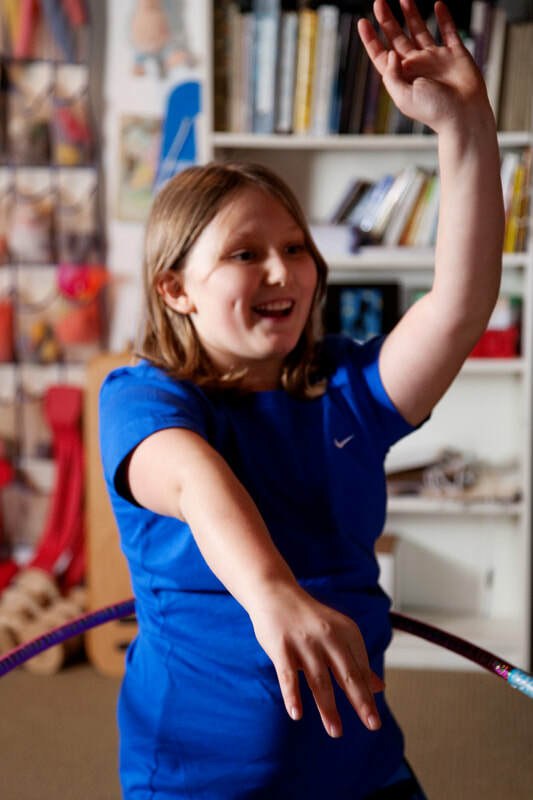 Carrie Heller’s approach in her Circus Arts Therapy® comes from over 30 years of working with both typical children and those with learning differences, both inside and outside of the therapy room. 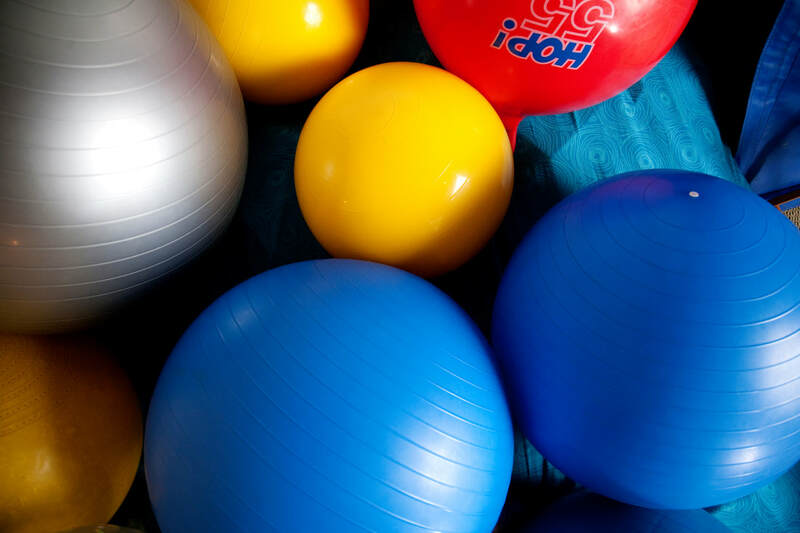 In her therapy work she assesses a child's physical capabilities and designs a series of activities using the circus equipment for each child to work on, one on one, as well as with the group, thus attending simultaneously to other emotional, mental and social aspects of the child's development. 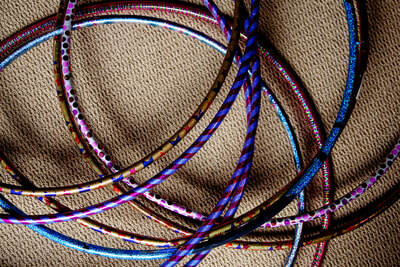 ​Who is Circus Arts Therapy® for? Circus Arts Therapy® is for people of all ages, including children three and older, pre-teens and teenagers with social, emotional, mental and physical challenges including attention difficulties, hyperactivity, sensory issues (including personal space and engine regulation), low self-confidence, difficulty interacting socially, and children who have trouble in large groups. Parents and Caregivers seeking education on their specific children's personalities and needs and training on how to incorporate play into their relationships as well as discussion of parenting styles. 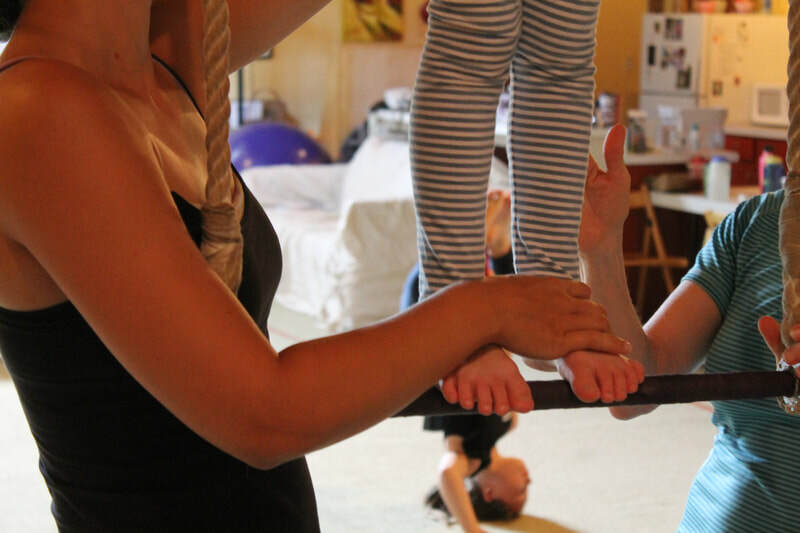 How do I register for Circus Arts Therapy®? Contact Carrie via phone at 404-549-3000 to register. 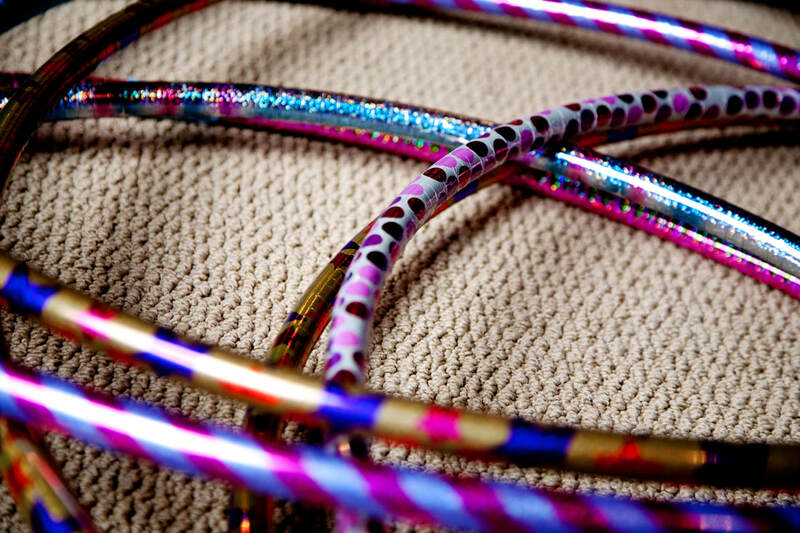 An initial consultation is required before joining a Circus Arts Therapy® Small group. Tuition is payable by cash, check or credit card. Please do not email to register. Due to HIPAA regulations related to patient protected health information, we cannot communicate confidential information via email. Are Circus Arts Therapy® programs safe? Yes! Our Founder is known throughout the circus community as the "safety police.” Safety is our number one priority, and our instructors are all professionally trained with a focus on safety. 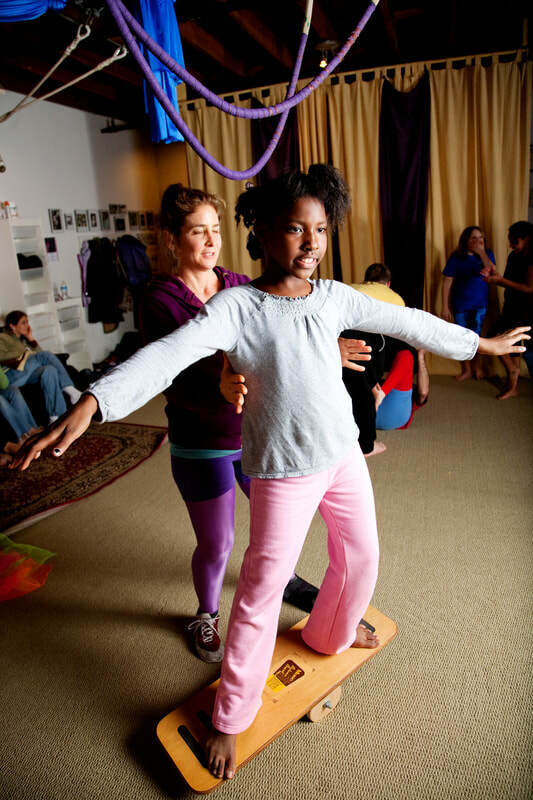 For what ages are Circus Arts Therapy® designed? Depending on the specific needs of the students, the ratio will be one staff member for every two to three students. All sessions will be taught by a team including Carrie Heller, MSW, LCSW, RPT, and circus arts professionals. When warranted, the ratio may be decreased to one teacher to one student. In this case, additional fees may apply. Are siblings welcome to attend therapy sessions? Yes, we are happy to include siblings and family members in therapy sessions. Although we do not process insurance claims, we will provide receipts that can be turned into insurance providers for reimbursement. Insurance coverage's vary by plan, please contact your provider and ask if CPT codes 90791, 90853, 90834, 90846, and 90847 are covered by your plan (and frequency/number of sessions allowed). 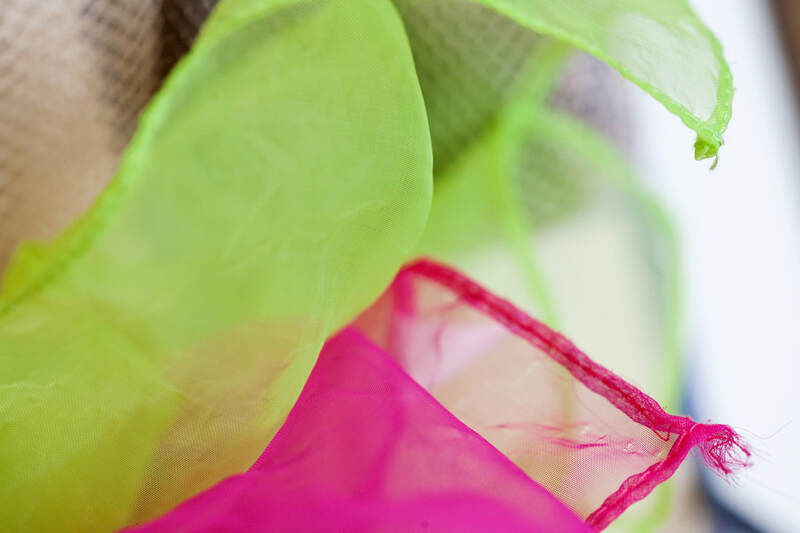 When do Small Group Circus Arts Therapy® sessions take place? Sessions are available August-December and January-May. Also, a weekly summer session has also been added. What is required to enroll in therapy groups? Because of the physical nature of this therapy, all clients must be reliably potty trained. In order to join a social group, a child must be of the physical or mental ages of the appropriate therapy group, unless an exception is made by Carrie. Also, to join a group, the child must not have displayed aggressive behaviors towards others in the past 12 months; although Carrie will work on an individual basis with children who are displaying aggression to help decrease the aggressive behaviors before enrolling in group. Carrie is the Founder and Director of the Circus Arts Institute. 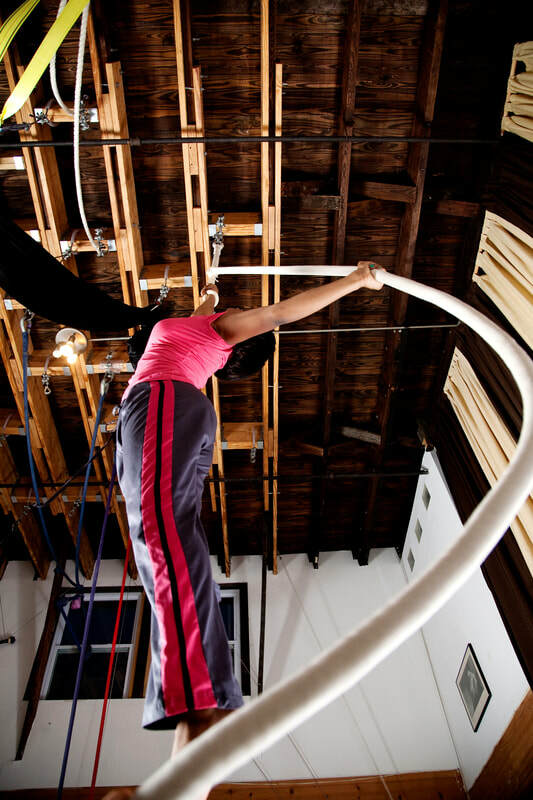 She has been teaching circus fitness and practicing therapy in Atlanta since 1988. She is a professional trapeze artist, a Licensed Clinical Social Worker and a Registered Play Therapist with over 40 years experience in circus arts. She has trained the trainers at Cirque Du Soliel’s outreach program, Cirque Du Monde, and she also founded the successful Atlanta Circus Camp in 1993.